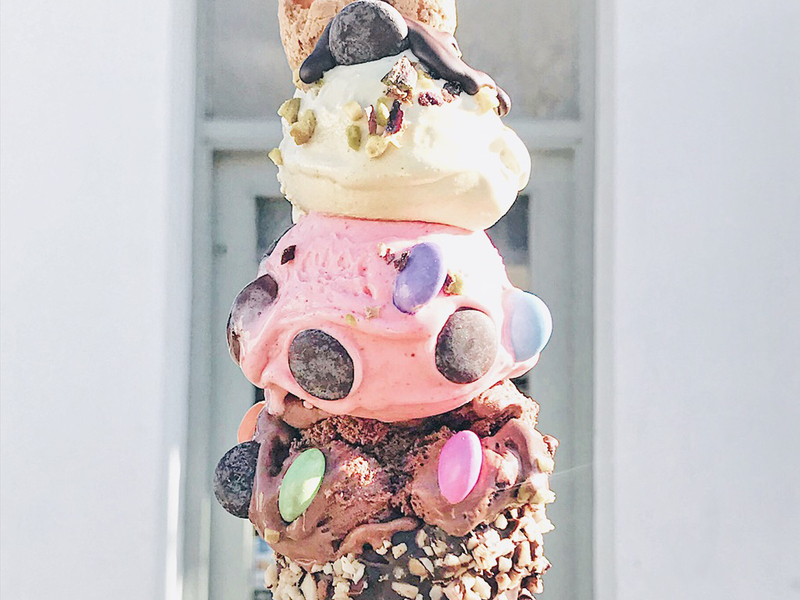 April 2019: We’ve gone ice cream crazy, adding several hot licks including Yolkin (best known for its ace ice-cream sandwiches), Mamasons Dirty Ice Cream (a leftfield Filipino take on the subject) and much-loved Gelateria Danieli in Richmond. 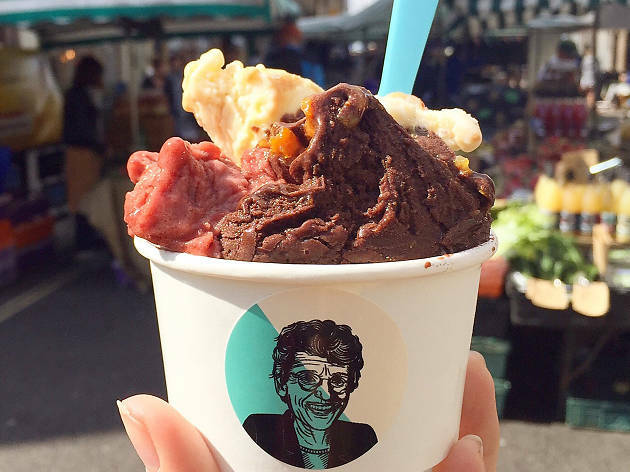 Then there’s Grom, which is the first London outpost of an Italian chain; family-run Cremoloso Gelato, which does the business for Earlsfield locals; and Hackney’s Black Milq, which flies the flag for vegan ice cream. 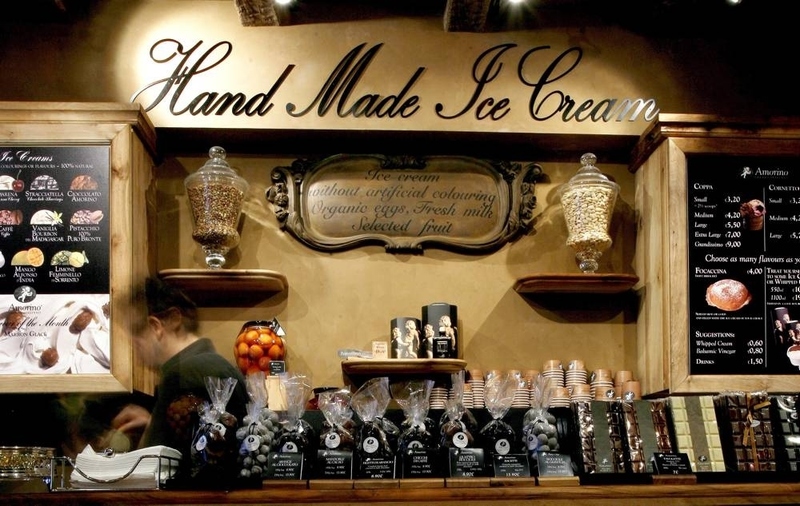 Check out our sticky-fingered guide to the best cold stuff in the capital. 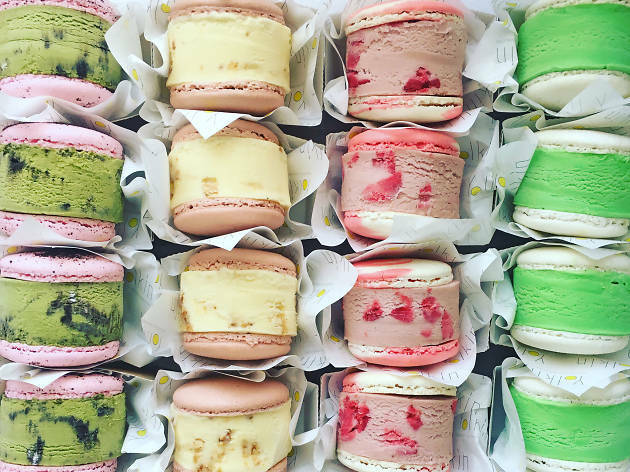 We've put together a list of top-notch ice-cream parlours serving unforgettable frozen treats, scoops, ice lollies and ice-cream sandwiches. 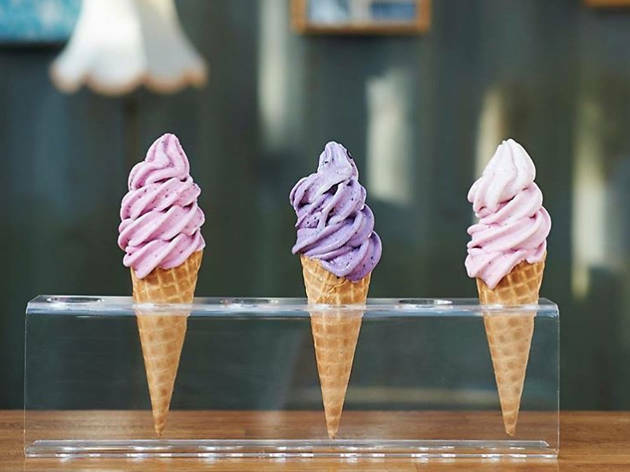 With London outposts from Camden to Chelsea, this international gelato chain is a big presence in the capital, famous for its highly photogenic ‘flower cones’ (thin slabs of ice cream artfully arranged like petals). Expect a mash-up of reworked classic flavours and more exotic options – from coffee, salted caramel and chocolate to banana, passion fruit and amarena cream with black cherries. Also check out novelties such as their ice-cream waffles, crêpes and gelato burgers (two scoops in a sweet bun). 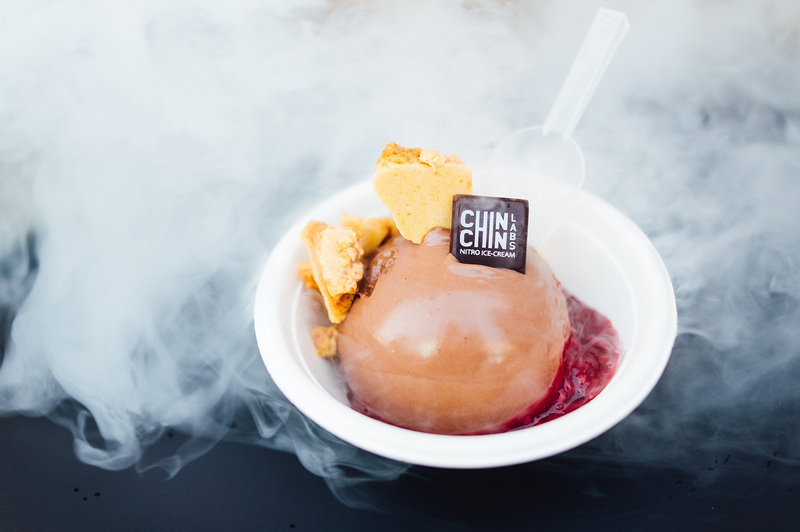 You don’t need dairy to make delicious ice cream – and livewire specialist Natalie Slack proves the point with this vegan outfit now housed in Containerville in E2. Her plant-based creations rely on coconut and cashew-nut ‘milk’, while flavours run from miso caramel and pecan or five-spice ‘golden milk’ to newcomers such as loquat jam and cardamom. Natalie’s ice-cream sandwiches are worth a punt too. You can order online and collect, or simply drop by on spec (Monday to Saturday). Also look out for Black Milq at Brockley Market (Saturdays, from May 2019). 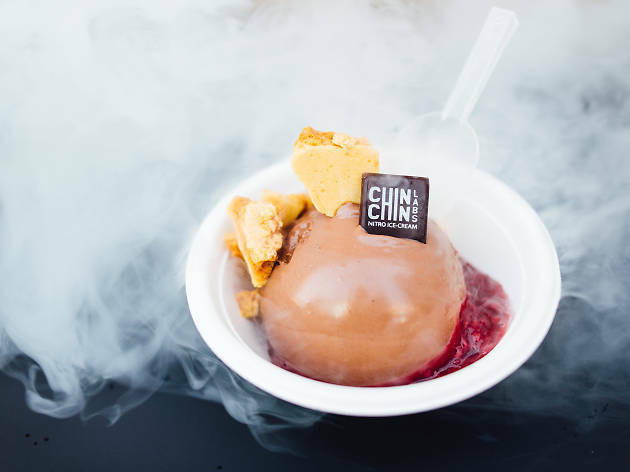 Those nitro-fuelled experimentalists at Chin Chin are the Willy Wonkas of the ice-cream world, and this Soho shop is an ostentatious showcase for their wares. Not only their signature ices (anyone for halva black tahini? ), but also full-on desserts – there’s some seriously elaborate stuff going on here amid all the bells and whistles. We adore their fantastically moreish taco wafer stuffed with avocado ice cream and topped with sharp yuzu cream. World’s best science lab? Ahrash and Nyisha Akbari-Kalhur broke the mould when they started freezing ice cream amid billowing clouds of liquid nitrogen back in 2010. Gimmick? Nope: because the custard base gets frozen instantly, the results are gorgeously dense and crystal-free. The flavours are straight, but it’s all about pimping them with sprinkles, sauces and powders from a veritable chemistry set of out-there extras (grilled white chocolate, truffle crumble, caramelised pretzels etc). 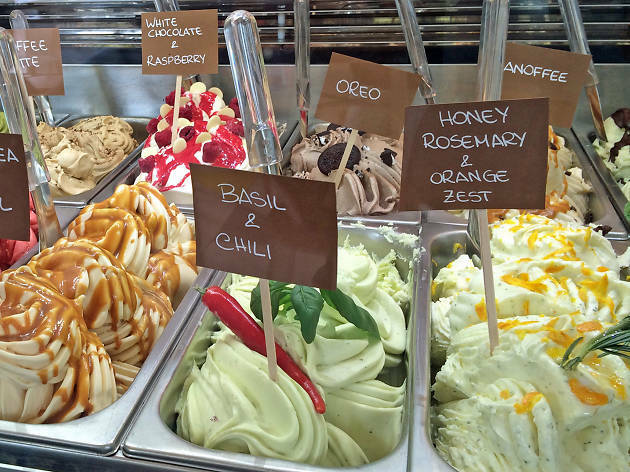 Although it doubles as an Italian neighbourhood café serving pizzas, cakes, desserts and suchlike, Cremoloso really scores with its line-up of cool gelati. 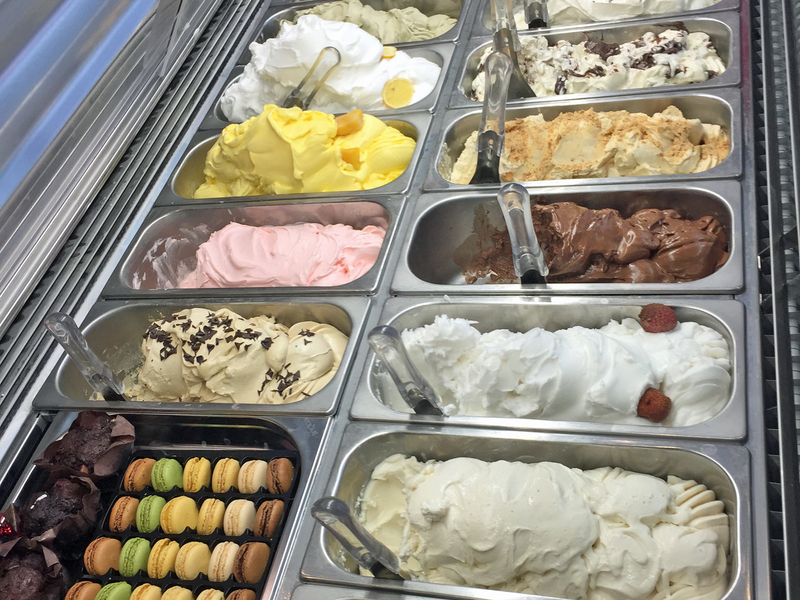 Run by a young Italian couple, the place offers around 20 flavours (plus some sorbets) – everything from rum and raisin, banana and strawberry to pomegranate, stracciatella and Snickers. They also do ice-cream waffles and a sandwich combo stuffed in Sicilian brioche. You can also buy tubs to take away. One for the Instagrammers and novelty-seekers. 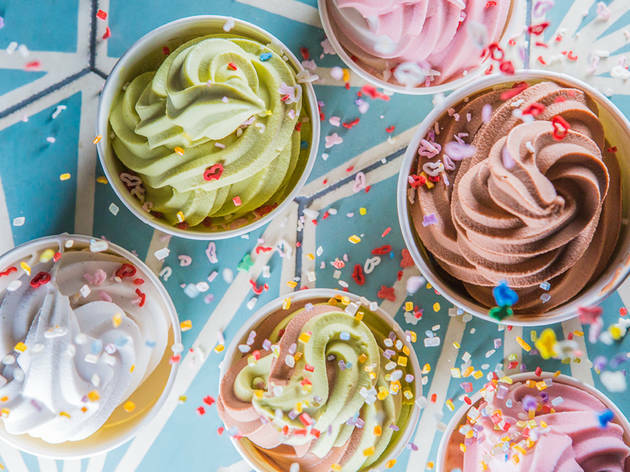 Dominque Ansel’s main business is, of course, ‘cronuts’, cakes and pastries, but they have also started to include a few seriously photogenic ice-cream concoctions in their repertoire. 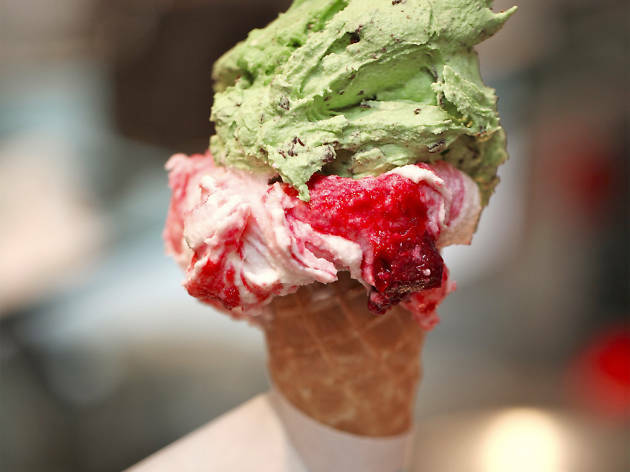 Their watermelon and choc-chip creation became a social-media sensation overnight, but also check out soft-serves such as ‘strawberry fields’ or their rhubarb sorbet and custard ice cream in a waffle cone topped with a rhubarb crisp. Click, click! ‘We freeze the seasons’ say the owners of Four Winters on Gloucester Road, and they get the desired effect by blasting their luscious goodies with nitrogen. 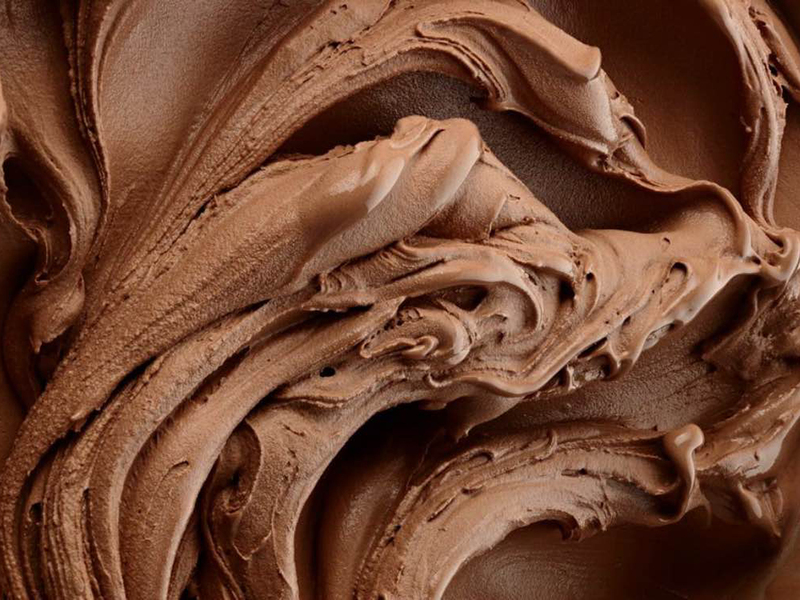 With no room for ice shards or air, the finished product is a marvellously creamy scoop. We reckon the best toppings are the house-made cookie dough and the spicy honey brittle, although the peanut butter pretzel, red velvet and fudge brownie aren’t far behind. Funny name, seriously good ice cream. 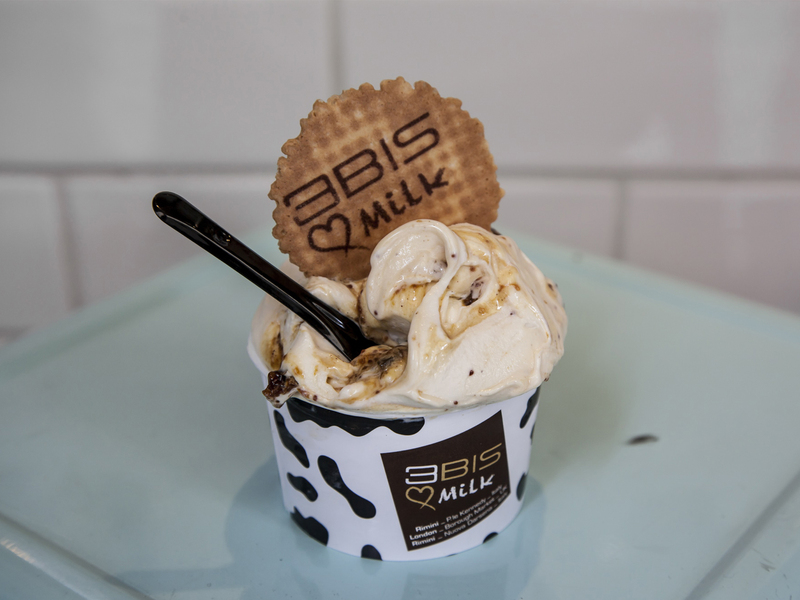 Located by Borough Market, white-tiled 3Bis (the postcode of Italy’s first ice-cream factory, apparently) has a playful feel, with cabinets full of chocolate-splattered lollies and a whirring gelato machine churning away in front of you. 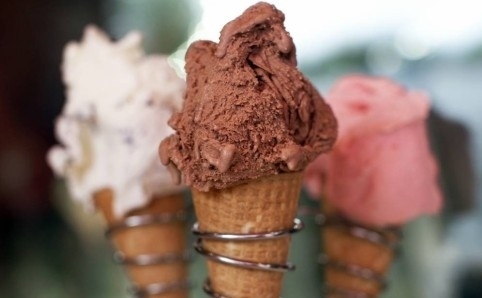 Quality doesn’t come cheap hereabouts – a large cone won’t leave change from a fiver, but it’s totally worth it. Also check out their frozen yoghurt and gelato crêpes. A second branch is now trading on Portobello Road. 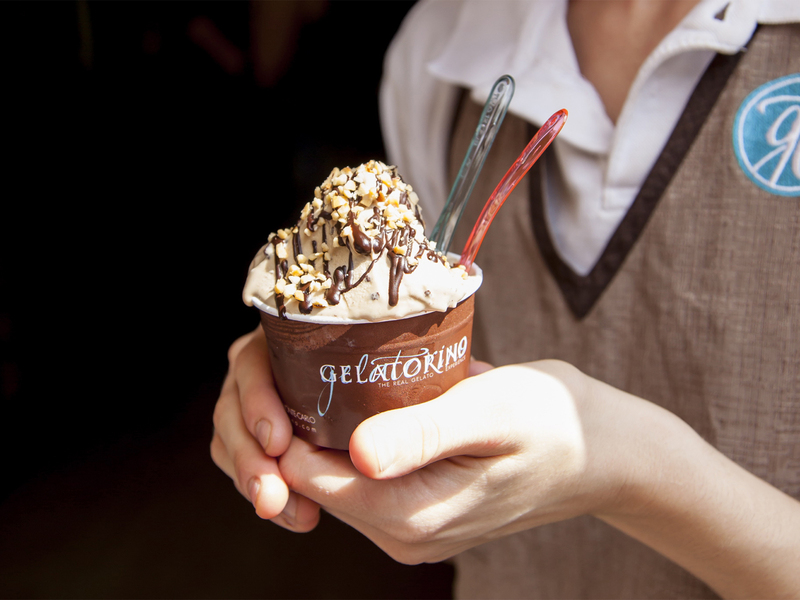 Gelati like mama used to make. 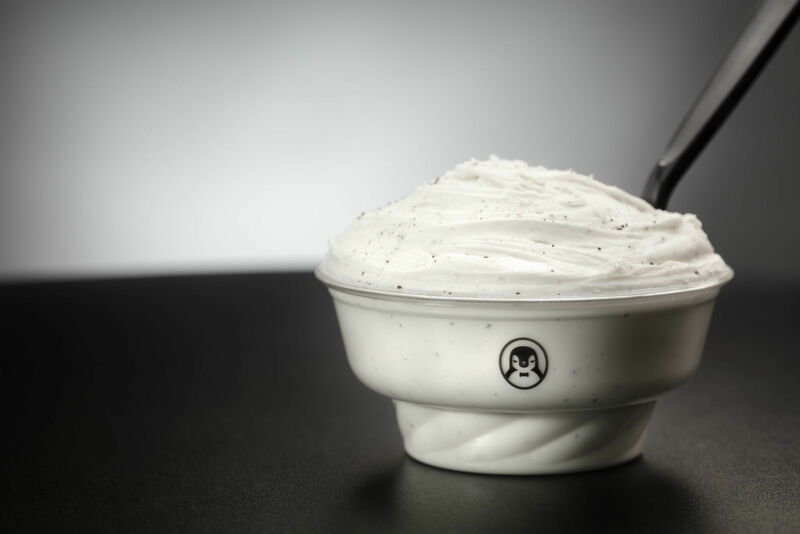 The ice cream at this cute café near the Royal Opera House is churned fresh every day in machines from Italy, kept in traditional lidded pots at the counter and served with a spatula – it’s so super-smooth there’s no need for a scoop. The flavours, too, are unashamedly old-school, and all the better for it: the nougat, panettone and gianduja are exceptional, while the coffee-flavoured ‘Breakfast in Turin’ is a worthy signature lick. 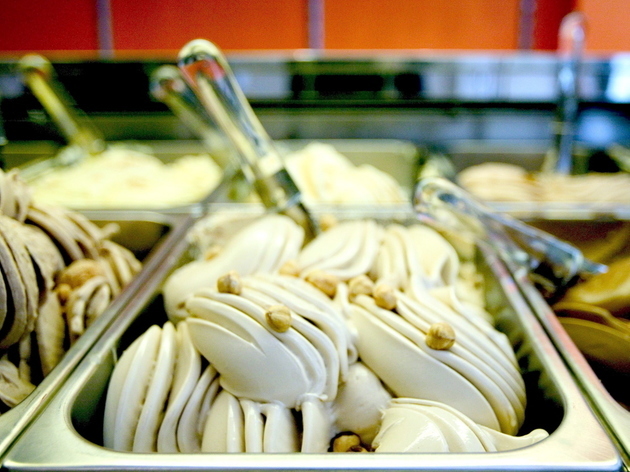 Just across Archer Street from his big-hitting Italian fave Bocca di Lupo, Jacob Kenedy’s gelateria is as cool as can be. The tiny space is regularly full to bursting around the clock – although standing in line next to the freezer cabinets of ice-cream cakes is no great hardship. 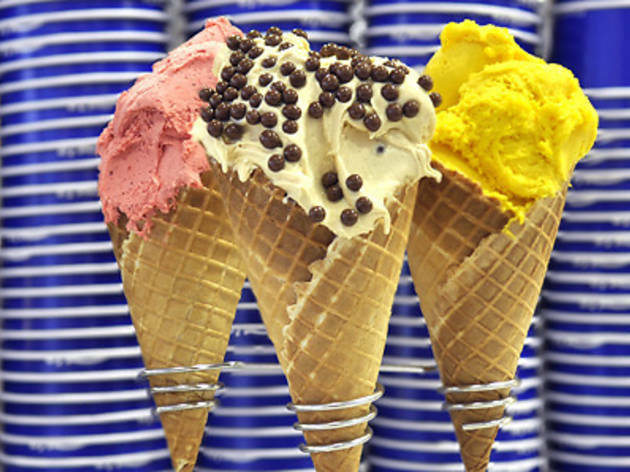 The line-up of sorbetti and gelati is ever-changing, and the flavours are quirky but grown-up – try fresh mint stracciatella, peanut butter and blueberry or ricotta and sour cherry. The clue’s in the name. This Borough Market stalwart sells lick-and-go cones and cups full of ice cream made from the milk of goats on a small farm in Essex. It’s lactose-free and naturally lower in calories than cow’s milk ice cream, but the flavours are immense – try The Goatfather (salted caramel), Billy Vanilly or Nanny’s ‘Rhubaarb’ & Custard (you see what’s going on here?). They also buck the packaging trend by using recycled glass jars rather than the usual plastic tubs for their retail products. 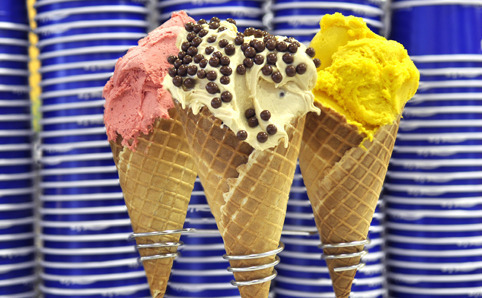 If putting a smile on people’s faces was an Olympic sport, La Gelatiera would definitely go home with a gold. Their spot in East Village, E20 in Stratford, is more sociable than the Covent Garden original, with a ‘theatre’ where you can watch the gelato being made. They rotate the menu each day, but the stockpile of 90-odd flavours (including sorbets) is always intriguing: try the summer-garden hit of honey, rosemary and orange zest, the earthy porcini chocolate cream or rich Calabrian liquorice. For years, Kitty Travers’s three-wheeler Piaggio Ape mini truck was a fixture on Maltby Street and other markets across town, but she’s now moved up in the world, written a book on the subject and opened a Saturday-morning hole-in-the-wall shop at Spa Terminus (between Spa Road and Dockley Road). 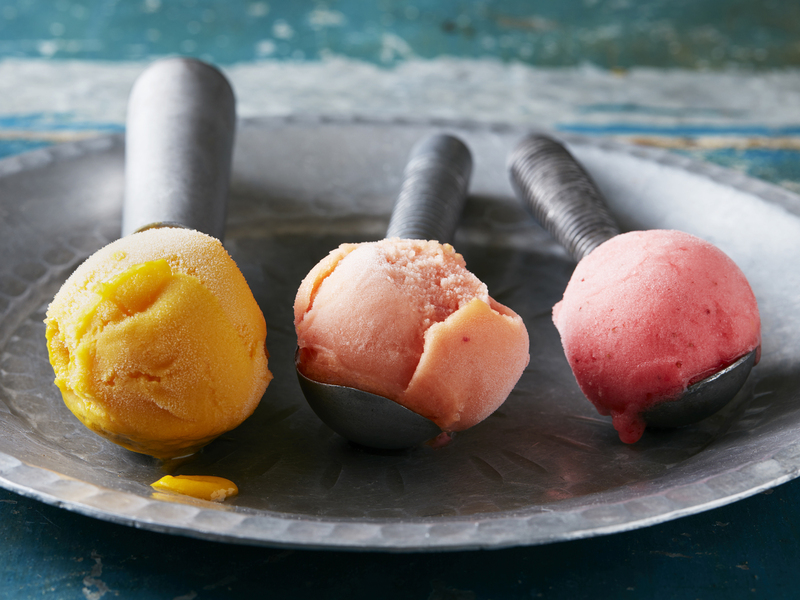 Expect a weekly-changing selection of seasonal frozen treats, with an emphasis on fresh-tasting fruity combos – think pomegranate and leafy orange, pear and myrtle, wild fig and watermelon or quince and bramley apple pie. 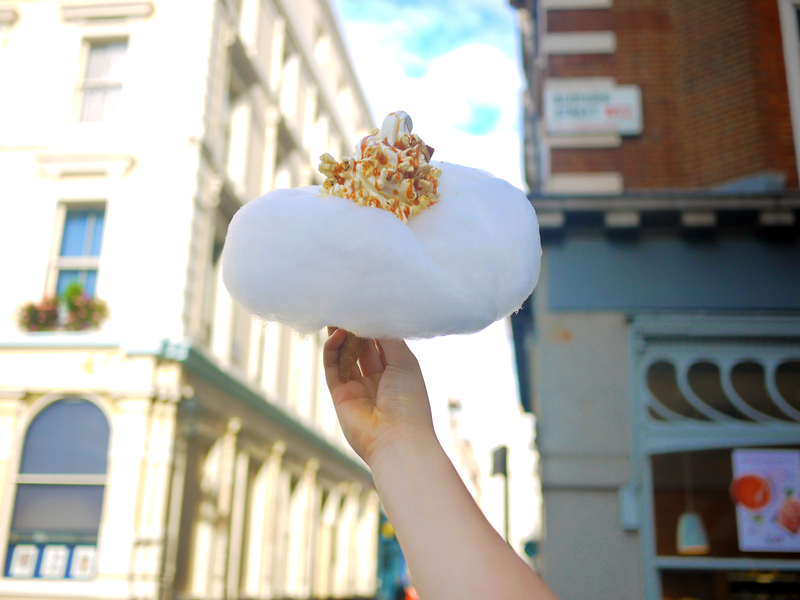 This no-frills joint at the top of Greek Street doesn’t lend itself to lingering, but there’s nothing better than whiling away an hour or so with one of its gelati in nearby Soho Square. 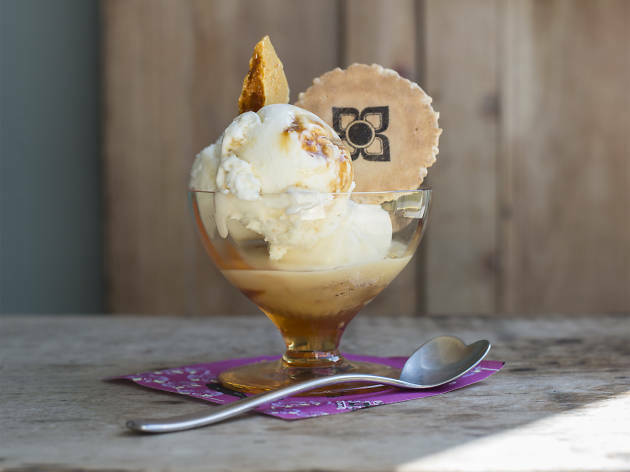 The billowing tubs are made on site in the time-honoured way using fresh milk and cream, with no fewer than 24 global flavours to choose from (amaretto, banoffee pie, lavender, red bean, zuppa inglese etc). Sorbets are a strong point, too (pick the Mediterranean lemon or Sicilian mandarin) and they also do a good line in flavoured coffees. 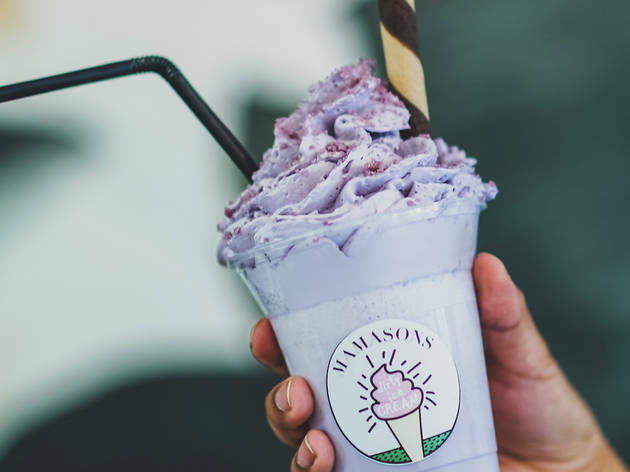 A Filipino take on an ice-cream parlour, Mamasons peddle the kind of ‘dirty’ stuff you’ll find on the streets of Manila. 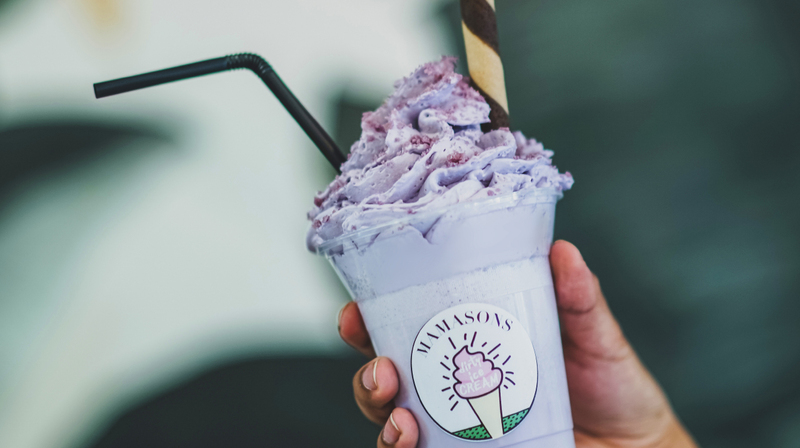 The signature flavour is ‘ube’ (made with a native purple yam), but also brace yourself for salty cheese-based ‘queso’, vegan-friendly kalamansi or goth-tastic ‘black buko’ (coconut combined with activated charcoal made from the coconut shell). They even serve the ice creams in black cones. Also look out for their ‘bilog’ – a scoop of ice cream sandwiched in a toasted pandesal (milk bun). There’s an offshoot in Chinatown. Chalk Farm may be miles from the seaside, but this place lives up to its name – if it doesn’t put you in a holiday mood, nothing will. 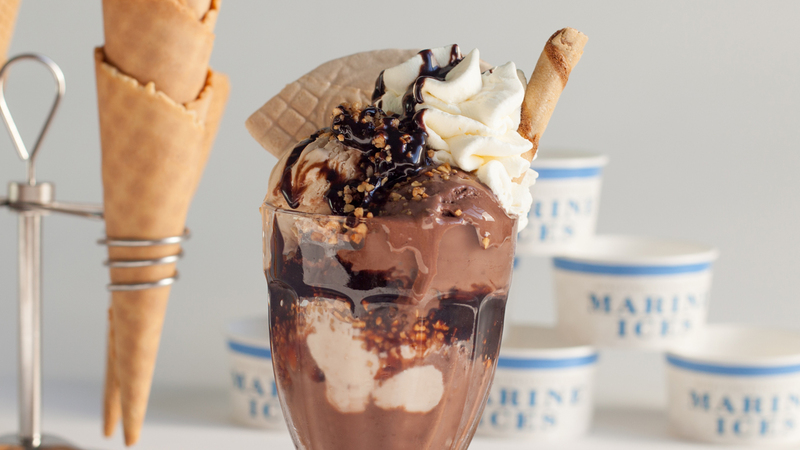 Marine Ices has been scooping since 1931, moving out of its original premises on Haverstock Hill in 2014 to a new, smaller parlour with a retro look. Malted milk, coconut ruffle and tutti frutti give the menu a ‘Famous Five’ feel, and the staff are all smiles. Take your average ice-cream cone, add some lurid-green matcha soft-serve ice cream, top with oreos, choc chips, sprinkles and the like. And then – and here’s the good bit – watch as the servers weave a cloud-like web of candy floss around it all. 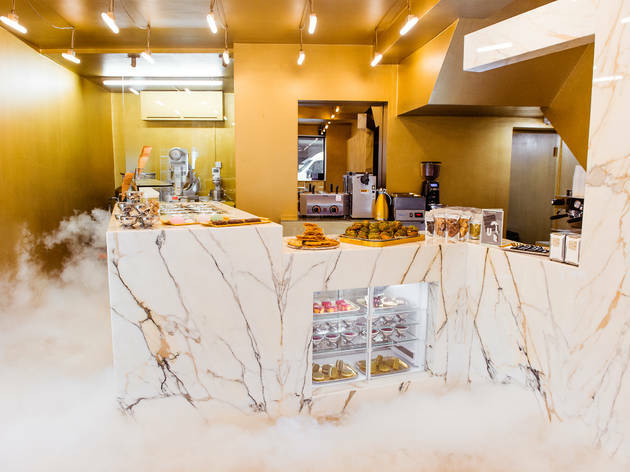 This zany Taiwanese invention has had Instagramming tourists tripping over themselves to get through the door, and nothing beats the sheer thrill of the candy floss action inside the shop. A family affair. Morelli’s is a fourth-generation business – great-grandfather Mario apparently brought the cappuccino to Britain – and its tiny jewel of a store in Covent Garden sparkles. 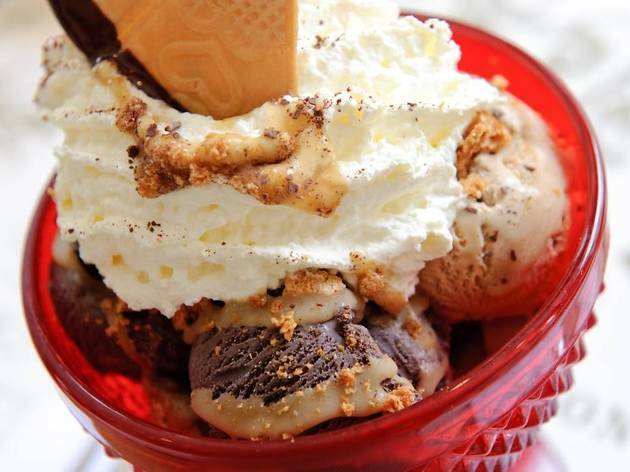 You can get a cone of their gelato to go, but it’s worth sticking around for the sundaes, which come in glorious Italian glassware festooned with swizzle-sticks, whipped cream and wafers. Probably the most fun you can have sitting down. 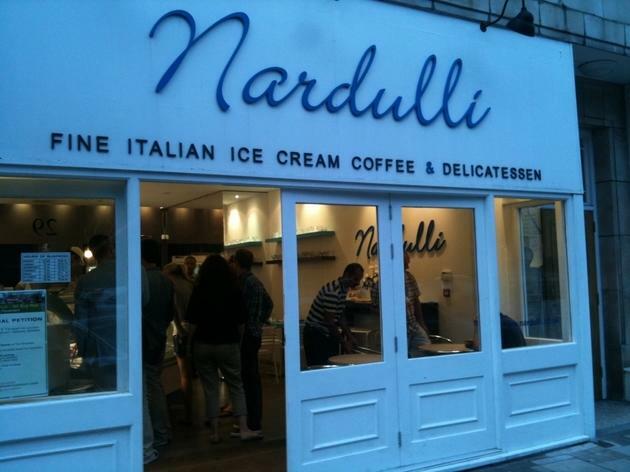 On sunny Saturdays the queue for Nardulli stretches most of the way back to Clapham Common tube station. You won’t find any techy whizz-bangery here: just classic gelati (valrhona chocolate, liquorice, macadamia nut) made the old-fashioned way. There’s a handful of tables, but we’d recommend you give them a miss – get out on to the grass and pretend you’re on (a Roman) holiday. Named after founder Sophia’s Italian grandmother, this vintage bicycle with a freezer on the back is a Saturday favourite at hip Broadway Market – thanks to a weekly changing line-up of organic ice creams blending Italian know-how with best-of-Blighty seasonal ingredients: give the Kentish cobnut, salted toffee apple, blackberry and vanilla crumble or Five Points porter and chocolate ripple a go. Also keep an eye out for Nonna’s bike on Church Street Market in Stoke Newington (Sundays) and at Kerb outlets across the city, too. An oldie, but a goodie. Looks-wise, Oddono’s in South Ken has nothing on the new generation of bare-brick gelaterias, but there’s still a whiff of Continental chic about it. Maybe it’s all those French mums who pop in for an affogato after dropping their enfants off at the Lycée Français up the road. Tried-and-trusted flavours such as mango, strawberry and coconut will see you right. Not fancy enough to make it to SW7? There are branches in Battersea, Hampstead, East Dulwich and Chiswick. 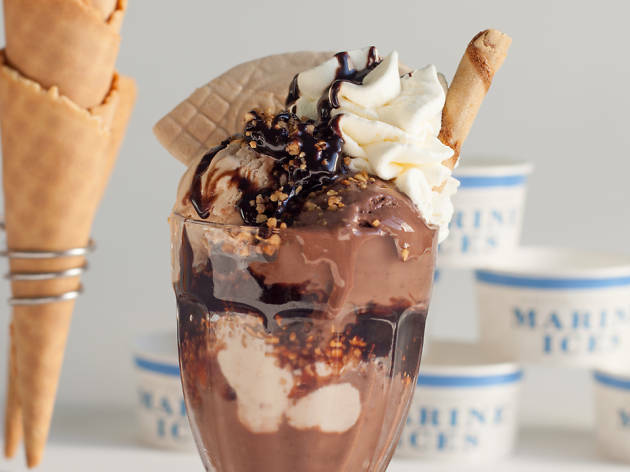 It‘s all about cornets and coupes, sundaes and scoops at this fun (but pricy) spot on the first floor of Fortnum & Mason – although the famous location means that you’ll usually be surrounded by box-ticking tourists and families with kids on a spree. 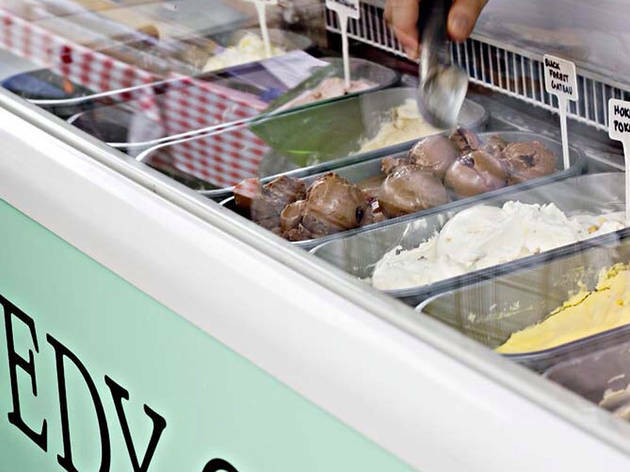 The ice creams are made by an artisanal outfit in Bermondsey and the flavours are classic: ‘Fortnum’s Florentine’ is the house scoop, but also expect mint choc chip, raspberry ripple, pistachio, strawberry, coffee and so on. Cakes, shakes, savouries and boozy floats complete the offer. Chocolatier Paul A Young takes the sweet stuff seriously, so when he decided to start selling ice cream in his gorgeous boutiques on Islington’s Camden Passage and at the Royal Exchange in Bank, he called in the experts. 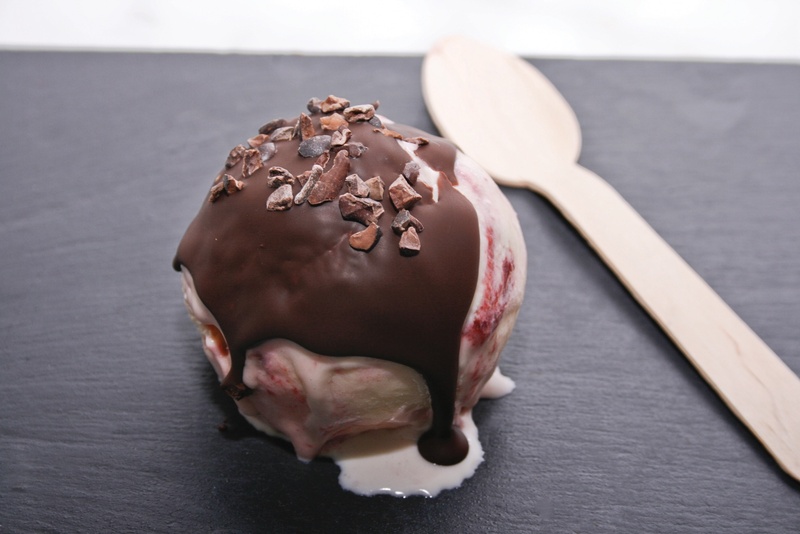 East London’s gelato wizards Hackney Gelato make three flavours for him, using the same top-notch ingredients that go into the truffles. Ask for all of the toppings (cocoa nibs, dark chocolate pearls, hot chocolate sauce) – especially if you’re going for the decadent white-chocolate version. There’s a shop on Wardour Street too. A twinkling gem on Tufnell Park’s main thoroughfare, Ruby Violet is magical mix of Las Vegas glitz, sultry Moroccan and 1950s kitchenette design. It suits all ages and it’s a place for all occasions – from dates to family outings. 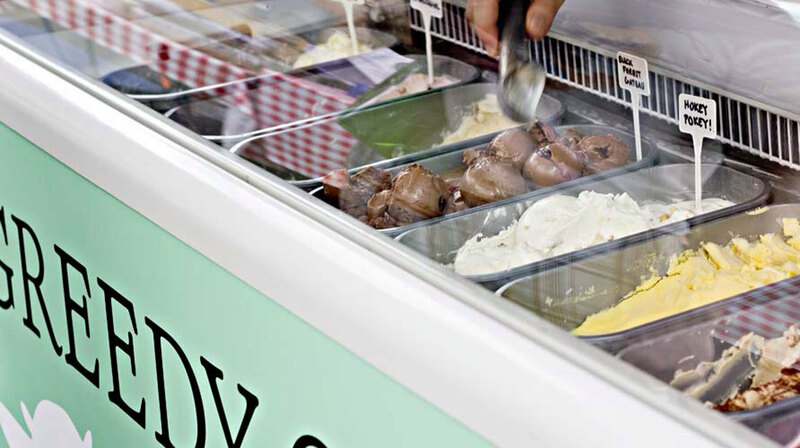 To lick, evergreens such as raspberry ripple, ‘maxi moo moo’ and salted caramel are bolstered by fruity seasonal flavours including wild plum, greengage or rhubarb and verjus – all made with organic milk and free-range eggs. There’s a grown-up offshoot on Granary Square, just behind King’s Cross station. A hipper Mr Whippy, Boxpark’s idiosyncratic dessert bar has reinvented soft-serve ice cream and sundaes for the Snapchat generation. 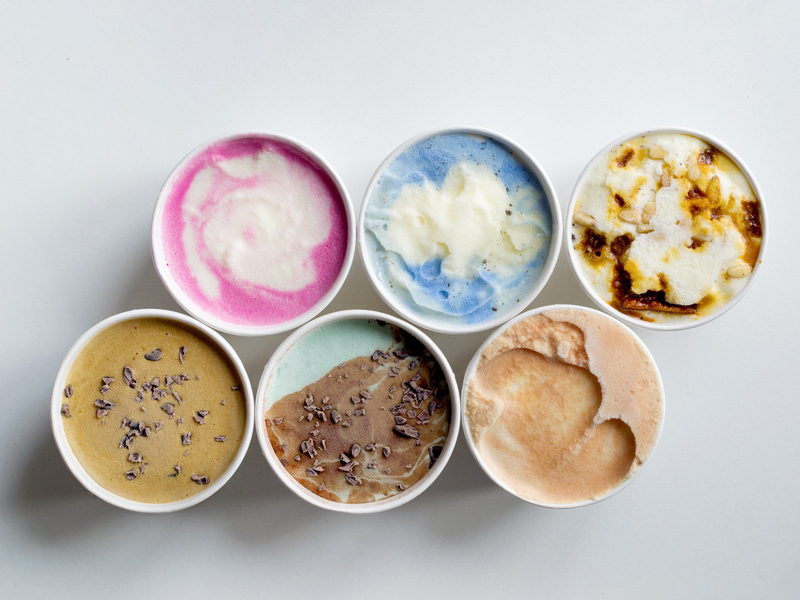 There are four basic flavours (vanilla, matcha, charcoal and coconut) but the thrill is in the photogenic toppings, which are arranged in petri dishes on the counter ready for sprinkling – perhaps berry candyfloss, Oreo crumbs, salty popcorn and smashed Pocky sticks (chocolate biscuit). SSS also has a pitch at Market Hall Victoria. 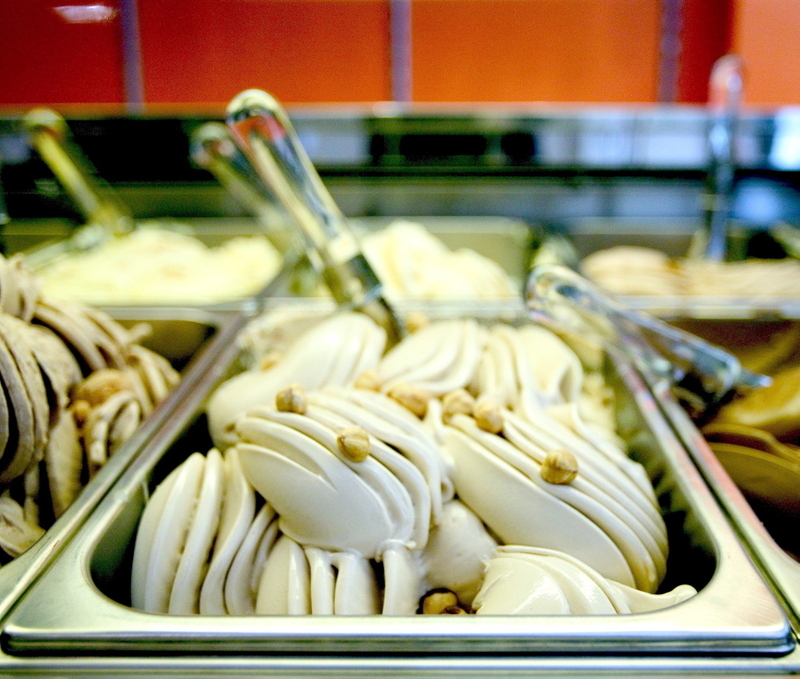 Voluptuous folds of colourful gelato undulate across Scoop’s freezer cabinet like rows of love handles. Its flavours are classic Italian (biscotto, fior di latte, malaga, pistachio), and they’re made from brag-worthy provenance-led ingredients including Tonda Gentile hazelnuts from Piedmont, Sicilian black cherries and a changing range of single-origin chocolates and coffees. Purists rejoice. The Seven Dials original looks cute and colourful, likewise its offshoot in South Kensington. ‘Serving happiness’ by way of sorbetti and gelati, this light, bright, faintly space-age parlour has come into its own since Exhibition Road’s pedestrian-friendly revamp. 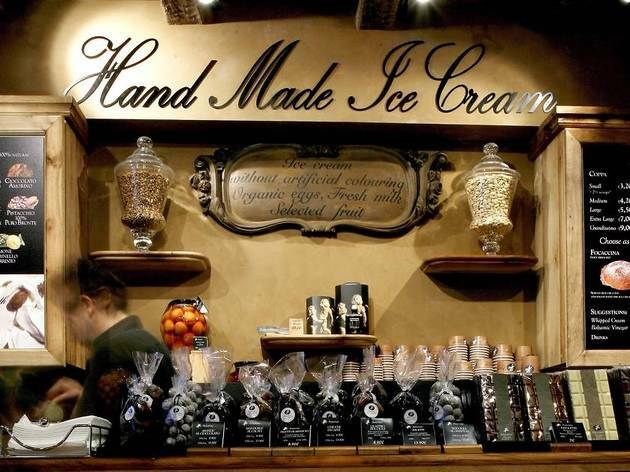 More than 40 flavours are available behind the counter, plus chocolate-dipped mini cones, sundaes, waffles and crêpes. Where to start? 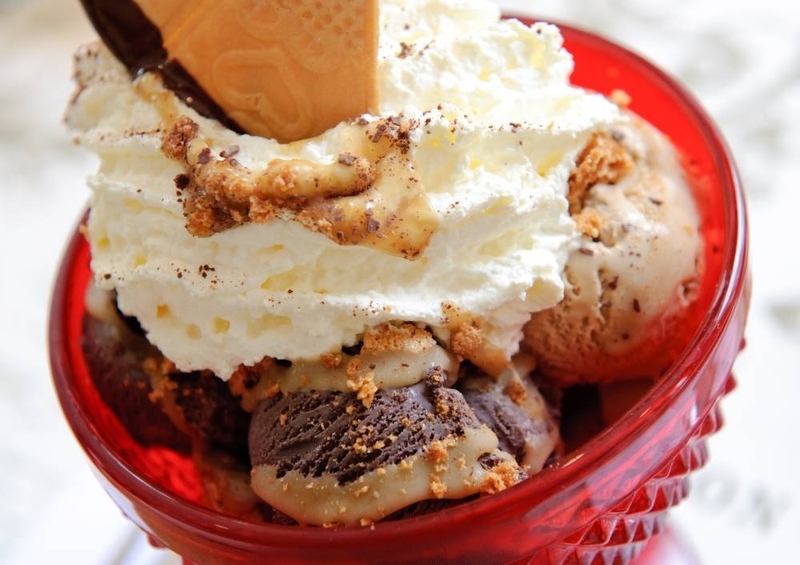 We recommend an A to Z approach – kick things off with a scoop of amaretto, almond or banana. Can’t get to South Ken? Pop into their Soho, Marble Arch, Bayswater and Selfridges branches. Like the Barnsbury original, this Covent Garden offshoot of Udderlicious is one of the jolliest organic ice-cream parlours in town with its bunting, pompoms and swing seat. 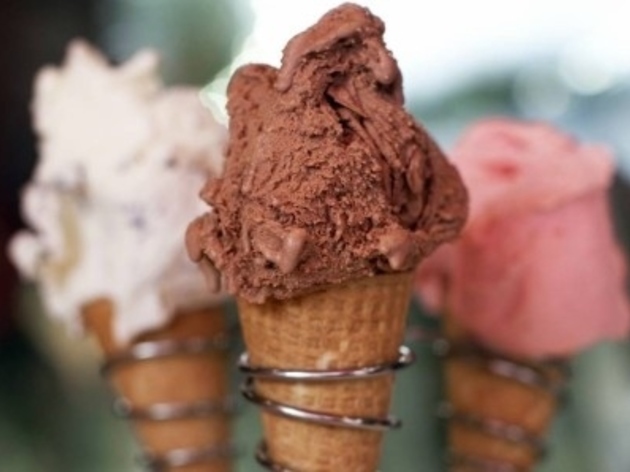 Not surprisingly it has a devoted following – customers can even suggest a ‘Flavour of the Month’, and the resulting winner is rewarded with a free scoop every day for four weeks. With 20-plus flavours ranging from peanut butter and chocolate to raspberry cheesecake, you’re spoilt for choice. Born in Italy but now trading across London, cheery family-owned Unico is part gelateria, part caffè. 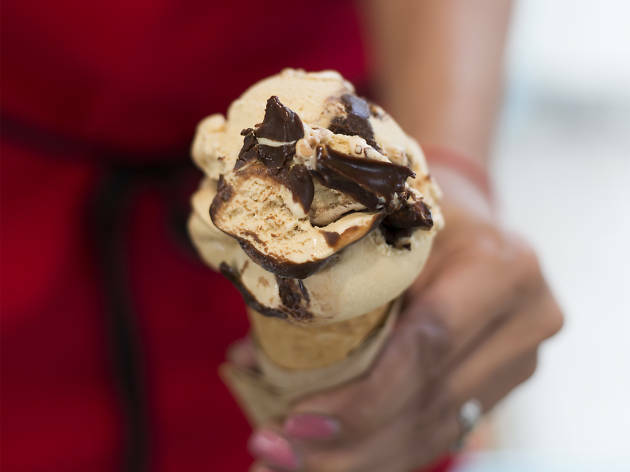 If you fancy a luscious lick or two, there are 13 ‘classic’ and ‘gourmet’ flavours to choose from, plus vegan options and some guest stars (they’ve been known to whip up the odd batch of Vegemite gelato). Can’t choose between a cone or a cup? You don’t have to, thanks to their portable – and edible – wafer ‘goblets’. There are branches in Notting Hill, Fulham and St John’s Wood, in addition to the UK original in Bromley. A clever wheeze to cut down on food waste, owner Sammie Le’s ice creams are made using egg yolks left over from baking batches of macarons – the building blocks for her hot-ticket ice-cream sandwiches. 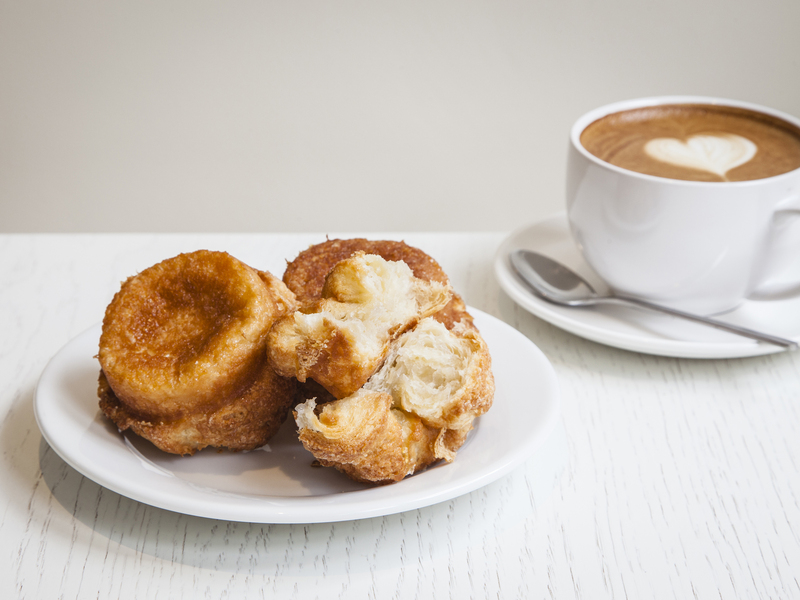 Although these fancy Instagrammable morsels are the star attractions, you can also visit Yolkin (yolk-in, geddit?) 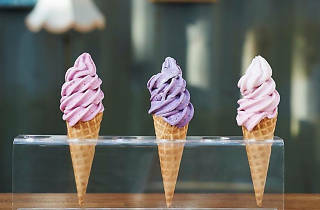 for soft-serve ice creams in cones – flavours such as condensed-milk tea, pandan coconut, matcha oreo, egg tart or taro and cornflake reflect Sammie’s Vietnamese heritage. 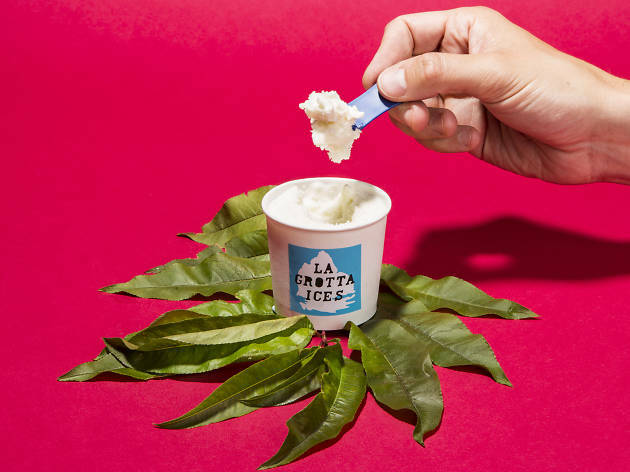 Plant-based ice cream? We can take it or leaf it (sorry, not sorry). 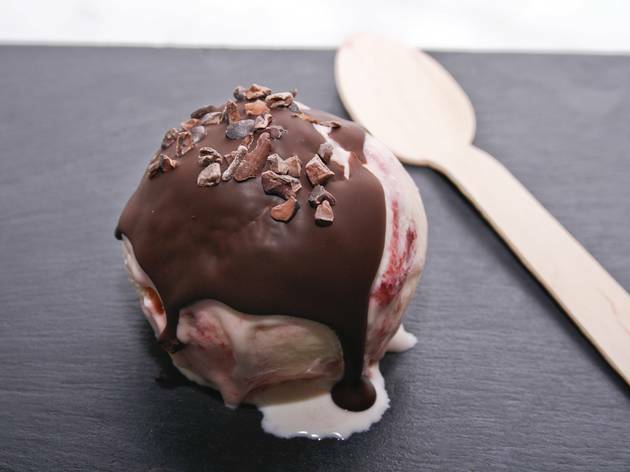 But the stuff at Yorica, London’s first dairy-, egg-, nut- and gluten-free ice-creamery, is an exception. Their Soho site feels like a Sydney surf shack, all blonde wood and super-smiley staff, while the flavours are bang-on trend. 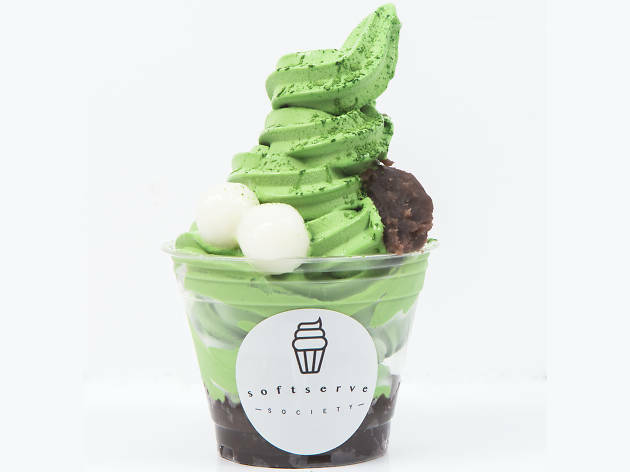 The ice cream is made with rice milk and they do vegan frozen yoghurt too: simply take your pick, top it with fresh fruit, brownie bits or marshmallows, then dig in. And no, it doesn’t count as one of your five a day. 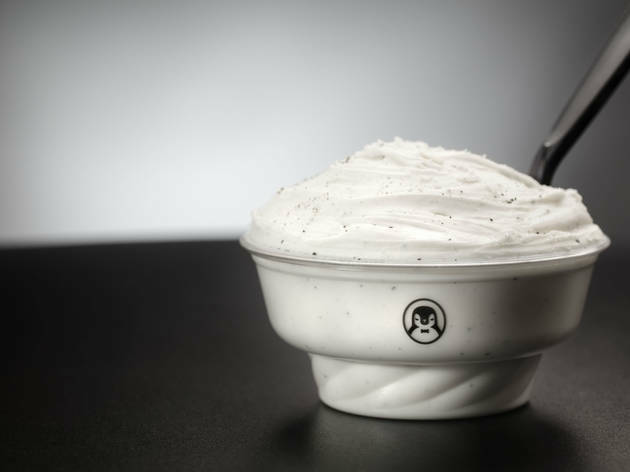 Danieli’s vanilla ice cream was served to Her Majesty on her eightieth birthday – so you’re in good regal company if you’re partial to a scoop or two of their Italian gelati. These guys care about sourcing the very best ingredients and their huge line-up of flavours goes far beyond the usual suspects – think banana and salted peanut, custard and cherry, pistachio and amaretto or Sicilian cactus fruit. They also do a hugely popular selection of fro-yo. A second outlet is on nearby Richmond Green. The first London outpost of an Italian-based chain, Grom sells gelato come una volta (‘like it used to be’), and their stuff certainly has a very different texture to your usual scoop – extremely creamy and dense, with pure natural flavours up front. The signature serve involves pastry cream and lemon peel, but also try the Italian nougat version, the green pistachio or one of the specials – perhaps ‘caramello al sale’ (caramel and Himalayan pink salt). You can eat them in cones or paper cups, and they’re also sold in dinky jars like moisturising cream. 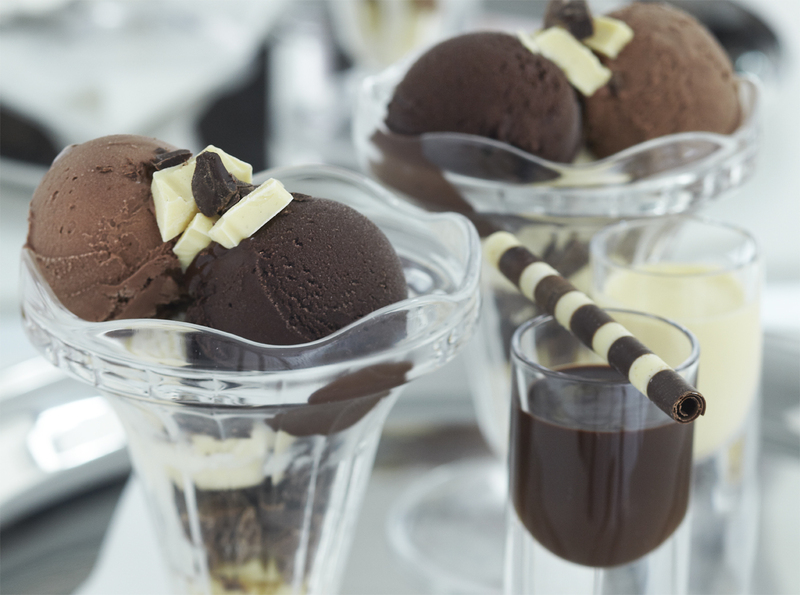 Are you tired of eating the same old ice cream, with only the ‘how long to brain-freeze’ game to keep things interesting? What you need is a hand-picked list of the best signature flavours, from the capital’s finest ice-cream makers, so you can spend all summer sampling and judging them for yourself.